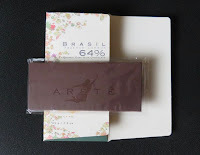 Welcome to Day #7 of South American Chocolate Theme Weeks. Today's Brasil Dark Milk Chocolate bar from Arete Fine Chocolate (Milpitas, CA) was made with just three ingredients: organic cacao, organic cane sugar and organic whole milk powder. The artful crafting of these three, high-quality ingredients resulted in a chocolate that maintained a clear tart sweet, fruity, dark chocolate complexity. At the same time the milk tamed the flavor profile enough to satisfy those who prefer a mellower chocolate. The list of truly fine dark milk chocolate bars is short. 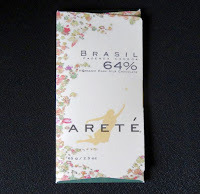 One hopes Arete and other bean-to-bar chocolate makers will continue to offer single origin bars like this in the future. 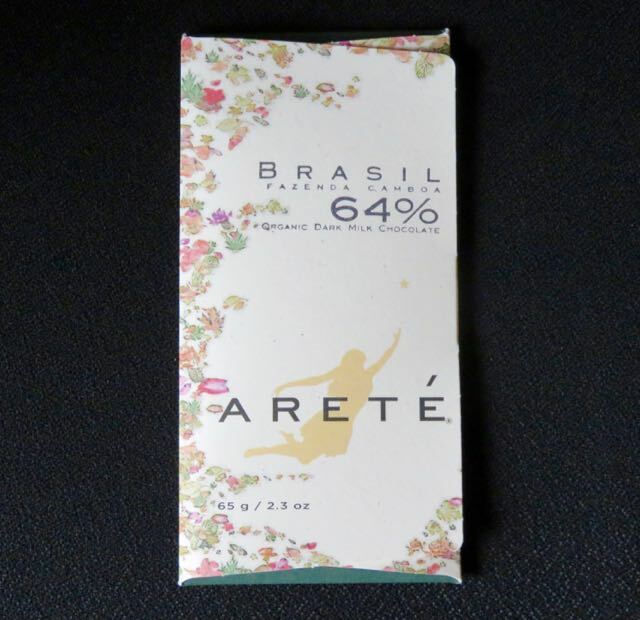 The organic cacao for this bar was grown in Brazil, at Fazenda Camboa, a family-owned farm in Bahia, Brazil.